Home > CONTENT > COLUMNS > EXTREMA In Studio Mixing Seventh Album “Headbanging Forever”, Trailer Video Unleashed! 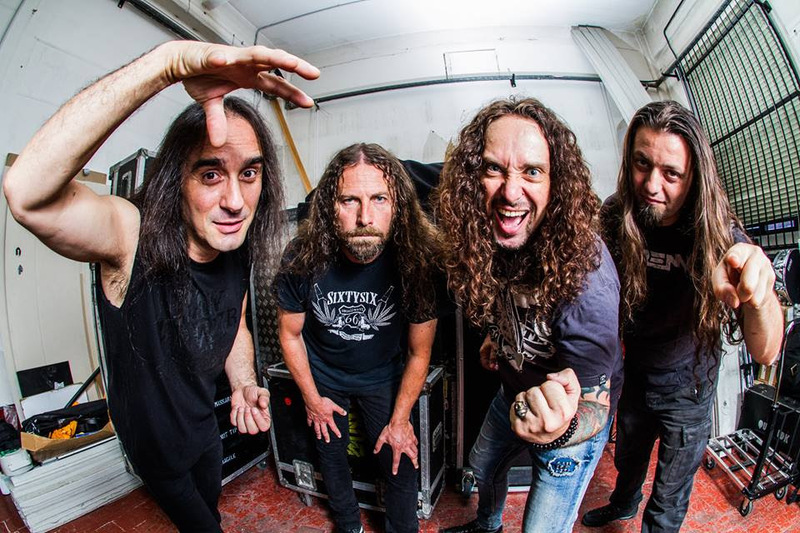 Italian legendary thrashers EXTREMA are currently in the studio, mixing their 7th album, entitled “Headbanging Forever”, the follow-up to 2013’s critically acclaimed “The Seed of Foolishness”. “We have just finished the recordings of our 7th studio album and we’re actually mixing it, we decided to team up again with Gabry Ravaglia, that in the last ten years has been for us the 5th hidden member of the band, I shared the production with him and we recorded it at his own facility the ‘Fear studio’ in Alfonsine, Italy. Musically, it’s a 100% straight in the face Metal album. The title says more than a thousands words: ‘Headbanging Forever’”. EXTREMA recently welcomed their new singer Tiziano Spigno, chosen for his own style and personality. EXTREMA, led by Tommy Massara’s abrasive guitars and energetic personality, got its start in Milan, Italy, back in 1986. During 30 years of activity, the band released a number of albums, EPs (all recently remastered and reissued with bonus tracks) and a DVD, toured with the likes of Motörhead and Death Angel, and opened for Metallica, Slayer, Megadeth, Suicidal Tendencies, Korn and many more.